Welcome to the 28th major release of CycleMaps. Should you like our app, please take a moment to review it in the App Store. It makes an enormous difference to us. Thank you. Uses routing information from a number of sources and prefers all bicycle paths and low intensity roads - everywhere! See your route's elevation profile! 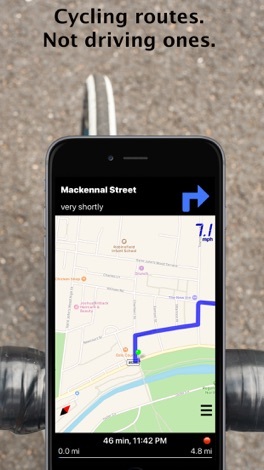 Provides you with clear turn-by-turn instructions indicating your next turn, which you can see at a glance. CycleMaps clearly indicates the name of the street where you need to turn and the distance to it. All this information without interfering in what matters the most: the map. Cutting edge route planning and navigation on your wrist. Works independently of phone. Navigate with haptic feedback at a glance, store your rides as workouts! Works independently of iPhone. 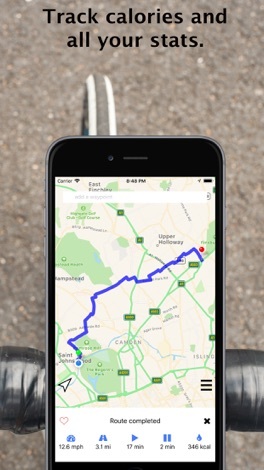 Keep track of the distance you cycle and the calories you burn using CycleMaps and Apple Health! No need to download other apps for other countries. CycleMaps has routes and maps for all over the world. Everything is provided with this one download. CycleMaps doesn't just do point to point routes - routes with any number of waypoints are supported! 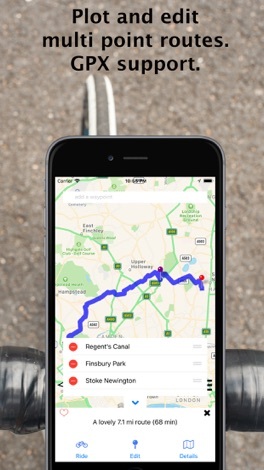 Import and ride routes from your cycling club or any source! Export routes as GPX! SEE CYCLE PATHS AROUND YOU. OR USE APPLE MAPS. OR GOOGLE MAPS. 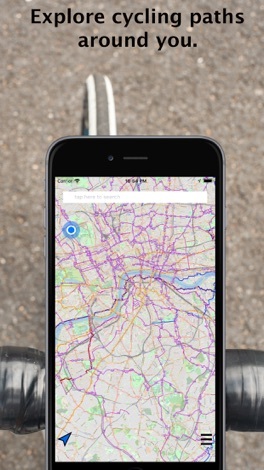 Choose between Apple Maps, Google Maps or maps from the OpenCycleMap project that show you all cycle paths around you. Cycling becomes a breeze! Store your favourite routes. Create an account and sync them with all your devices! 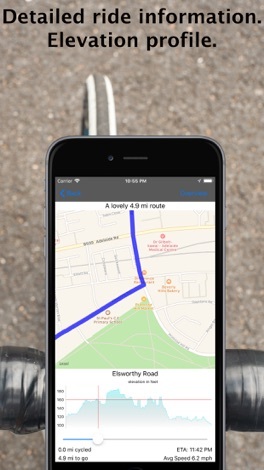 Mount your iPhone in your bicycle and never get lost! A powerful cycling computer that tracks your speed and distance. An easy to see display shows you when you go off course and how to get back on track. CycleMaps learns how fast you are cycling historically and estimates when you will arrive during your current trip. CycleMaps has the best searching facility in the business. 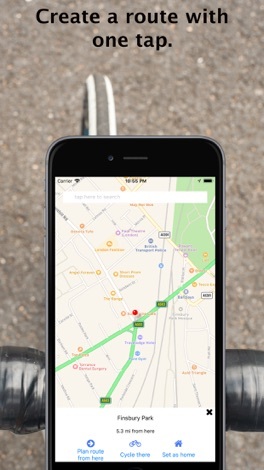 Find addresses, postcodes, landmarks, businesses and more to cycle to and from. Want to find the nearest cafe? Just search for cafe! Set up your home in the app and cycle there quickly. Use 3D Touch and make it there even faster! CycleMaps is written very efficiently. It's quick, very responsive and uses as little battery as possible while cycling! CycleMaps is ad-supported. 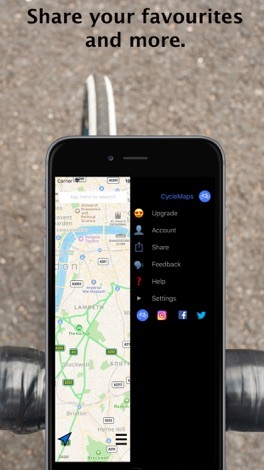 You can choose to purchase CycleMaps Premium, a low cost yearly subscription that will remove the ads, offer access to CycleMaps for Apple Watch, give you voice navigation and more. The subscription is renewable and will automatically renew every year at the same price unless cancelled. Payment will be charged to your iTunes account, and your account will be charged for renewal 24 hours prior to the end of the current period. Auto-renewal may be turned off at any time by going to your settings in the iTunes Store after purchase. Current price for CycleMaps premium is £8.99 / $9.99 USD per year and may vary from country to country. This app converts the M Weight of paper to its Basis Weight. The user simply enters a given M Weight, sheet width and sheet height, followed by clicking one of 8 Buttons, each one of which represents a different paper category.